Legend has it that the ancient Romans may be responsible for the name of our modern day of love. Emperor Claudius II executed two men — both named Valentine — on Feb. 14 of different years in the 3rd century A.D. Their martyrdom was honored by the Catholic Church with the celebration of St. Valentine's Day. Of course, there are contending legends for the origin of Valentine's Day. history.com outlines these. What about playing cards and the King and Queen of Hearts? This seems to have such an affinity to Valentine's Day. But it is not so. Playing cards have their own ancient beginnings. The Chinese invented playing cards before AD1000. It is a long evolving history of shapes to represent suits. The wikipedia entry has English, French, Italian, Spanish, Swiss-German and German. And that's for contemporary playing cards. The U.S. Bicycle brand is very familiar to most of us. It has been in continuous production since 1885. More about that company at their website. 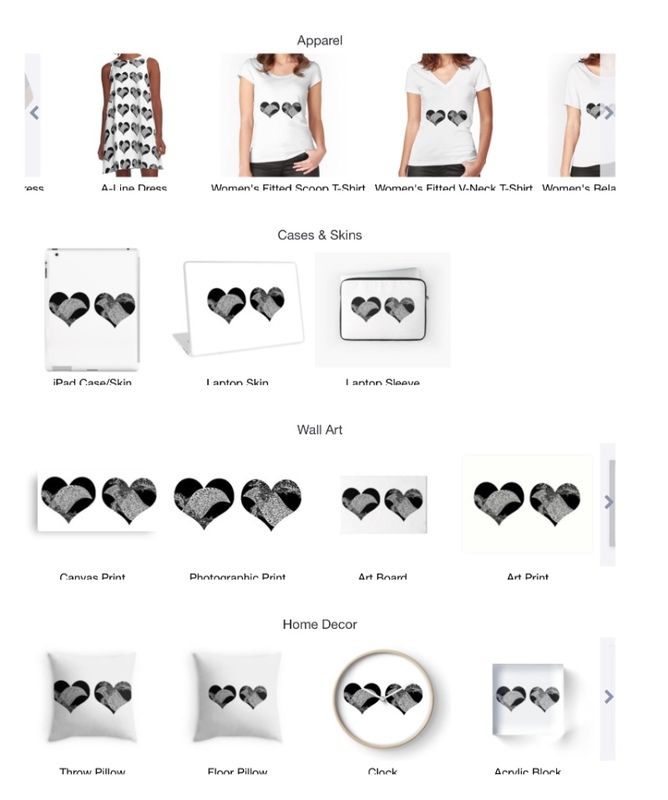 Our pictures today are thumbnails of the images in my Heart Felt Redbubble portfolio. 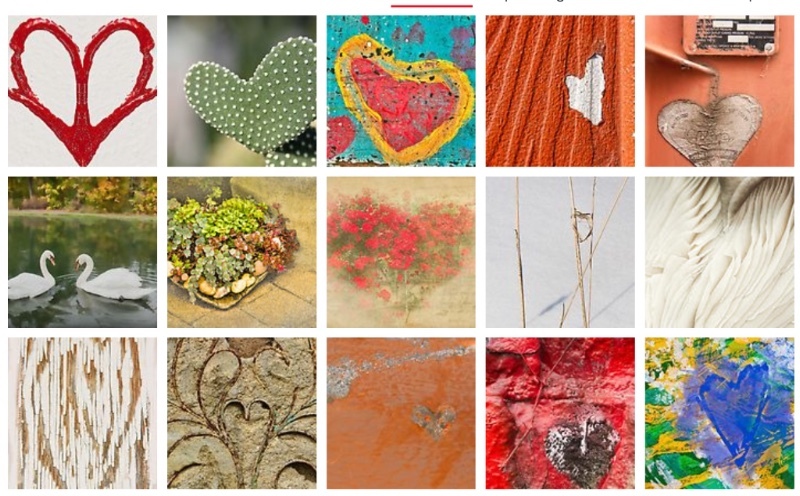 Some are accidental hearts found, and others created. When RB started more than 11 years ago, it was an art print site. Today, there are all kinds of products available. The bottom picture shows some of these - clothing, home decor, cases, bags, duvet covers, and so on.